A room with a view! 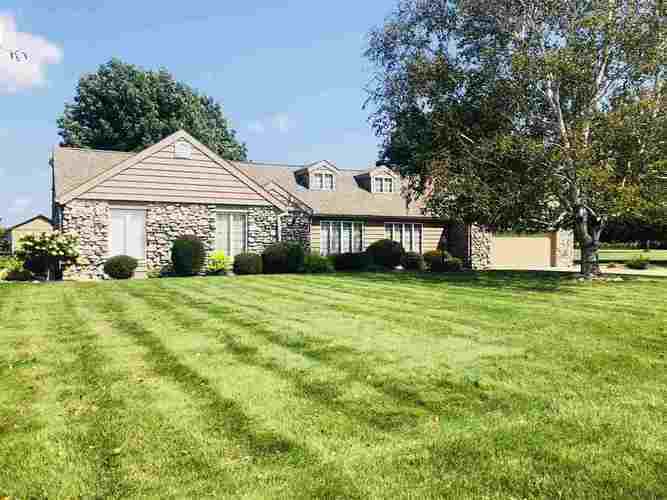 You won’t want to miss this 3300 ft.² beauty featuring five bedrooms and 2 1/2 baths perfectly situated overlooking the Kokomo reservoir in the Northwestern School District. The main floor features four bedrooms, 2 1/2 baths, two living spaces, a beautiful four seasons room with an abundance of natural light, a formal dining room, great room with gas log fireplace, eat in kitchen with a wood-burning fireplace. Upstairs offers the fifth bedroom and a possible sixth, that currently serves as a third living space. Updates include new flooring throughout the main level, refinished cabinetry, stone countertops, whole house generator and so much more. This house has it all curb appeal, function, and a rare waterfront view! Directions:931 to Sycamore. East on Sycamore/100 N to property on north side.